Ø Occupation- Art Teacher in St. Mary’s School Teetardi, Udaipur. Ø 2016 Cash Award in Ggrpahic 19 Kala Mela at Udaipur by Rajasthan Lalit Kala Academy, Jaipur, Rajasthan. Ø 2016 Cash Award in Graphics “82nd All India Exhibition of Arts 2016” organized by The Indian Academy of Fine Arts, Amritsar, Punjab. Ø 2016 2nd State Art Exhibition 2016, Jury Award in Graphics by Aakriti Kala Sansthan, Bhilwara, Rajasthan. Ø 2016 Won Special Talent Award in 2nd Stste level Photography Competition organized by TRI, Udaipur, Rajhasthan, India. Ø 2016 1st All India Exhibition of Arts 2016, Highly Commended Certificate Award in Graphics by “Virsa Vihar Society, Amritsar”, Punjab, India. Ø 2015 “28th All India Lokmanya Tilak Art Exhibition -2015”, Award in Graphics by Lokmanya Tilak Smarak Mandir, Pune, Maharashtra, India. Ø 2000 1st Prize in PAINTING MAKING competition Organized by R.S.M.M.Ltd. & Suchna Evam Jan Sampark Vibhag, Udaipur, Rajasthan. Ø 2016 19th Kala Mela at Udaipur org .by Rajasthan Lalit Kala Akademi, Jaipur 2016. Ø 2016 “82nd All India Exhibition of Arts 2016”, Organized by Indian Academy of Fine Arts, Amritsar, Punjab, India. Ø 2016 5th All India Women Artist Contemporary Art Exhibition 2016 organized by Artscapes, Chandigarh, Punjab, India. Ø 2016 124th All India Annual Art Exhibition 2016 organized by The Bombay Art Society at Jehangir art gallery, Mumbai, Maharashtra, India. Ø 2016 1st All India Art Exhibition 2016 organized by Virsa Vihar Society, Amritsar, Punjab, India. Ø 2015 Art Exhibition of Mini Prints by Contemporary Printmaking Artist of india at Art gallery Ravindra bhavan, Baina, Vasco Da Gama, Sanskruti Bhavan, Panaji, Goa, India. Ø 2015 sanskrity mahotsav at Lalit Kala Akademi Rabinra Bhawan, New Delhi, India. Ø 2015 International art exhibition at City Palace, Udaipur, Rajasthan, India. Ø 2015 Confluence International art exhibition by Team Galerie Art Eterne at Lalit Kalk Akademi, New Delhi, India. Ø 2015 28th All India Lokmanya Tilak & Barrister V.V. Oak Smriti Art Exhibition 2015 & All India Painting Competition Organized by Tilak Smarak Mandir, Pune , Maharashtra, India. Ø 2015 18th Art Fair 12 to 16 March Organized by Rajasthan Lalit Kala academy in association with Jawahar Kala Kendra, Jaipur, India. Ø 2015 123rd Annual Art Exhibition Organized by Bombay Art Society , Mumbay, Maharashtra, India. Ø 2015 Raja Ravi Verma Adaranjali National Group Painting Exhibition-2015 Organized by Artists Guild of M.P. at Bharat Bhavan, Bhopal, Madhyapradesh, India. Ø 2015 “Rangotsav” Art Exhibition Organized by Sanskar Baarti, chittorgar, Rajasthan, India. 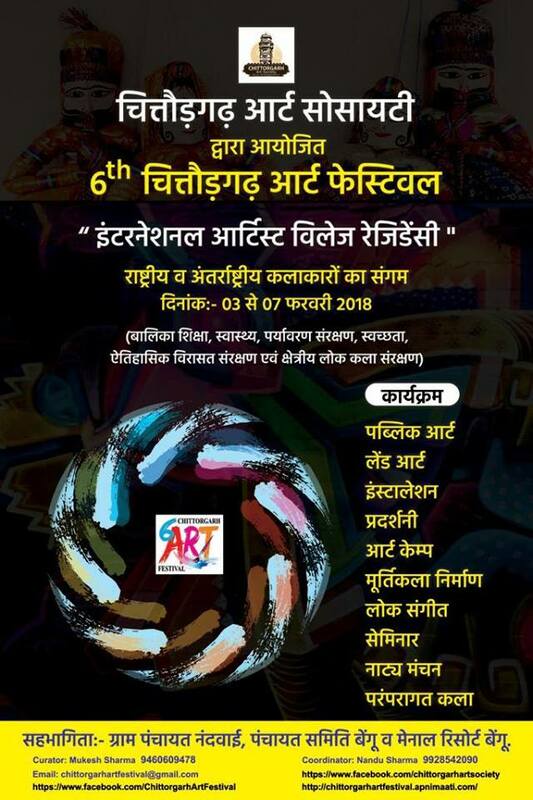 Ø 2014 87th Annual Art Exhibition Organized by AIFACS, New Delhi, India. Ø 2014 “CHITRANKAN” Contemporary Art Exhibition Organized by W.Z.C.C., Udaipur, Rajasthan & Directorate of Art and Culture, Govt. of Goa at Sanskruti Bhavan, Panaji-Goa. India. Ø 2014 “Aadishilp Mela” Organized by TRIFED, RO, DELHI at Dilli Haat, INA, New Delhi, India. Ø 2014 “80th All India Exhibition of Arts 2014”, Organized by Indian Academy of Fine Arts, Amritsar, Punjab, India. Ø 2014 27th All India Lokmanya Tilak Art Exhibition by Tilak Smarak Mandir, Pune, Maharashtra, India. Ø 2012 32nd Student Art Exhibition Organized by Rajasthan Lalit Kala Academy, Jaipur, Rajasthan, India. Ø 2012 1st State Art Exhibition by Aakariti kala Sansthan, Bhilwara, Rajasthan. Ø 2012 West Zone Inter University Youth Festival at Veer Narmad South Gujrat University, Surat, Gujrat, India. Ø 2016 “Understanding Art” A Progam in Art Appreciation Organized by P.N. Choyal Memorial Trust, Dharohar & Lalit Kala Akademi, at Udaipur, Rajasthan, India. Ø 2016 Wood Cut Print Making Workshop at Bal Bhawan, Diu, India. 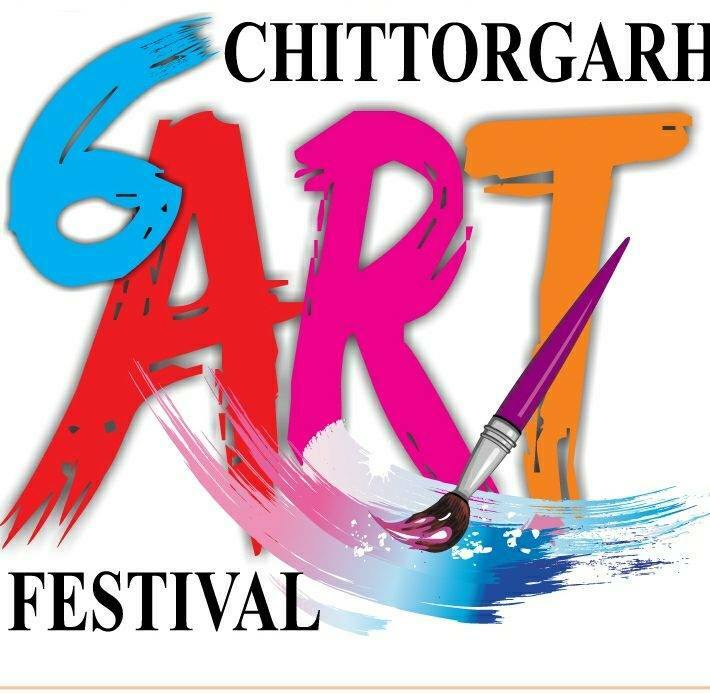 Ø 2016 International Art Workshop “Krishnacharitra” organized by Chittorgarh Art Society, Chittorgarh, Rajasthan, India. Ø 2015 “International Art Workshop” at City Palace, Udaipur, Rajasthan, India. Ø 2014 Bhilwara Mahotsaw Art Exhibition, Bhilwara, Rajasthan, India. Ø 2014 Art Exhibition by Aakriti Kala Sansthan, A Group of Contemporary Artists, Rajasthan at Art Gallery, Ground Floor, Gujarat State Lalit Kala Academy, Ravi Shankar Rawal Bhawan, Law Garden, Ahmedabad, Gujrat, India. Ø 2014 “One4-2-One4” Print Exhibition at W.Z.C.C. Udaipur, Rajasthan. Ø Dept. 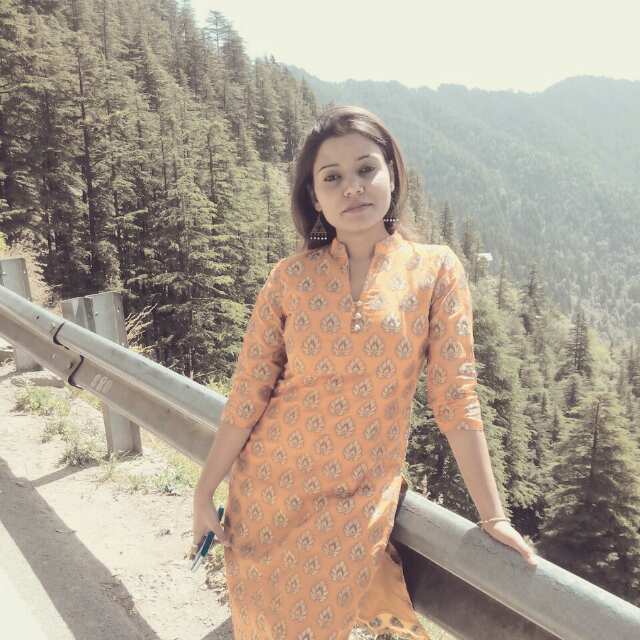 of Visual Arts, U.C.S.S.H., M.L.S.U. Udaipur, Rajasthan. Ø W.Z.C.C. Bagor ki haveli, Udaipur, Rajasthan. Ø Directorate of Art & Culture, Govt. of Goa, SANSKRUTI BHAWAN, Panaji, Goa. Ø Dept. of District Administration & Urban Improvement Trust, Udaipur, Rajasthan.